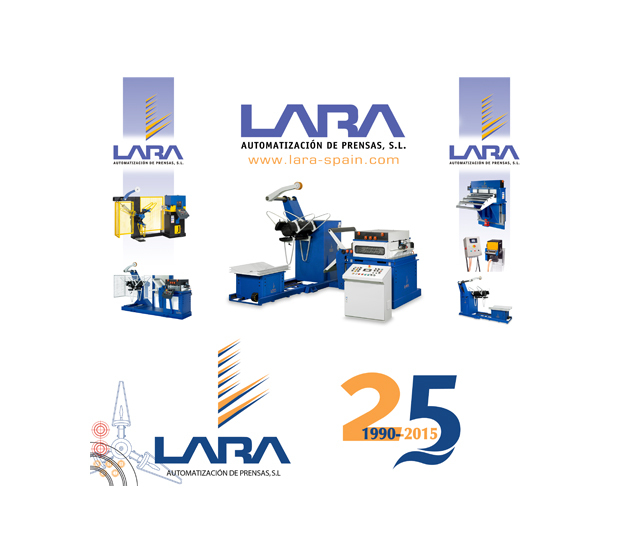 After celebrating the 25th anniversary of its creation in 2015 , the company AUTOMATIZACIÓN DE PRENSAS, S.L., acknowledged manufacturer of feed equipment for presses, “LARA”, is pleased to present its new website: www.lara-spain.com. This new online presentation gives a modern, clear and precise image of the capacity, experiences and values that define this company's philosophy. LARA provides a wide range of solutions that covers all market requirements in the metal forming sector. It’s a company with a large expertise building automatic lines unwinding, straightening and feeding strips to metal stamping presses and supplying complete turnkey installations.